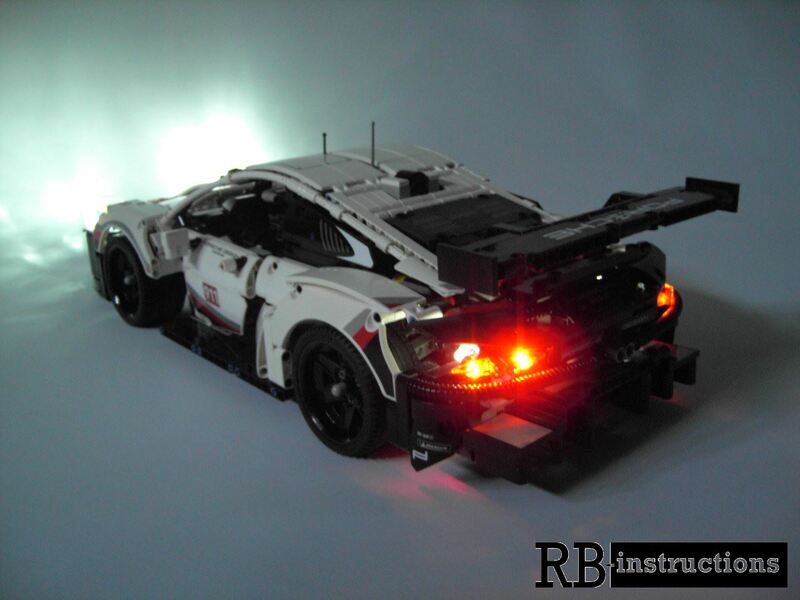 You are purchasing a PDF instruction for a RC version with light from the Porsche 911 RSR. The Porsche 911 RSR was rebuilt by me on RC and light with Power Functions. An RC version without light is available here. Since the model is very light, an L engine is completely sufficient. The IR receiver was fixed high up for best reception, the bonnet can still open. 85 additional parts are needed, an XML file is included.